Maple Sugaring school program is designed to allow students a first hand experience in the delicious tradition of maple sugaring. 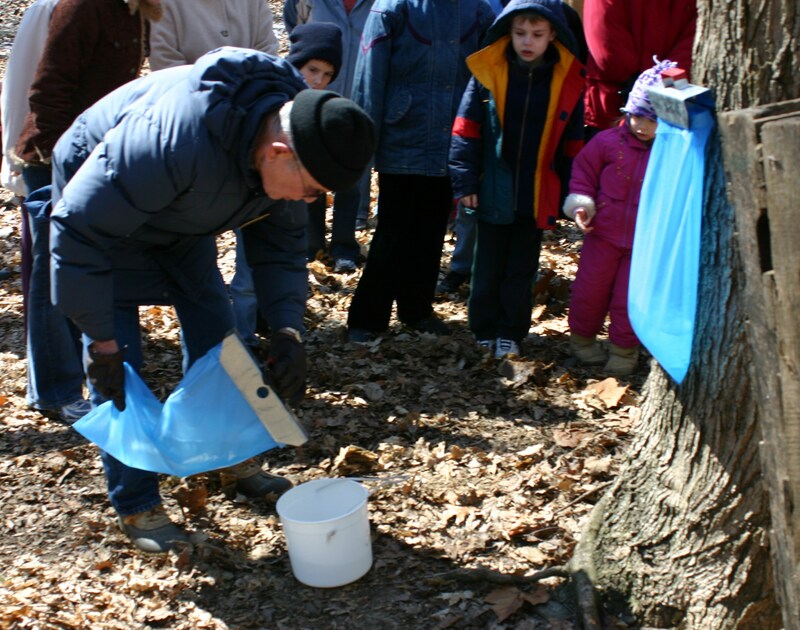 Students will learn basic concepts of maple sugaring, investigate tree characteristics, winter tree ID, how sap flows, taste sap from a maple tree, and see the maple syrup-making process itself at our historic sugar shack. Several outdoor stations and a couple indoor stations allows students a chance to warm up on cold days. Dress for the weather!